WQX1075: Features: -Easy to enjoy yoga at home.-Complete kit serves as both a welcome gift and a springboard for beginning your own yoga practice.-Cotton yoga strap.-6-month membership in Wai Lana's on-line Relaxation Club.-6' yoga strap.-Running time: Approximate 50 minutes each. 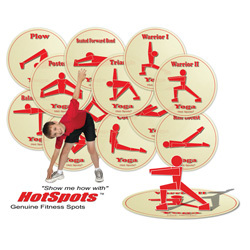 Includes: -Kit includes: Yogi Mat, Beginners Workout and Toning Workout DVDs. Dimensions: -Yogi Mat: 1.13'' H x 24'' W x 68'' D.-Overall Dimensions: 6'' H x 25.61'' W x 4.5'' D.